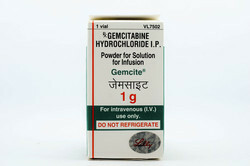 Our product range includes a wide range of erypro safe 40000iu, cabometyx, gemcite 1g and gemcite 200mg. 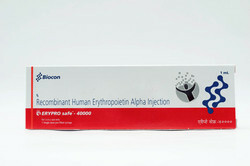 Erypro Safe 40000 IU Injection is used in the treatment of anemia due to chronic kidney disease and anemia due to chemotherapy. 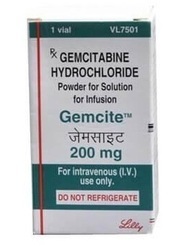 This medication is used to treat certain types of cancer (including kidney, thyroid cancer). Cabozantinib belongs to a class of drugs known as tyrosine kinase inhibitors. It works by slowing or stopping the growth of cancer cells.